Wed., July 6, 2016, 6:39 p.m. 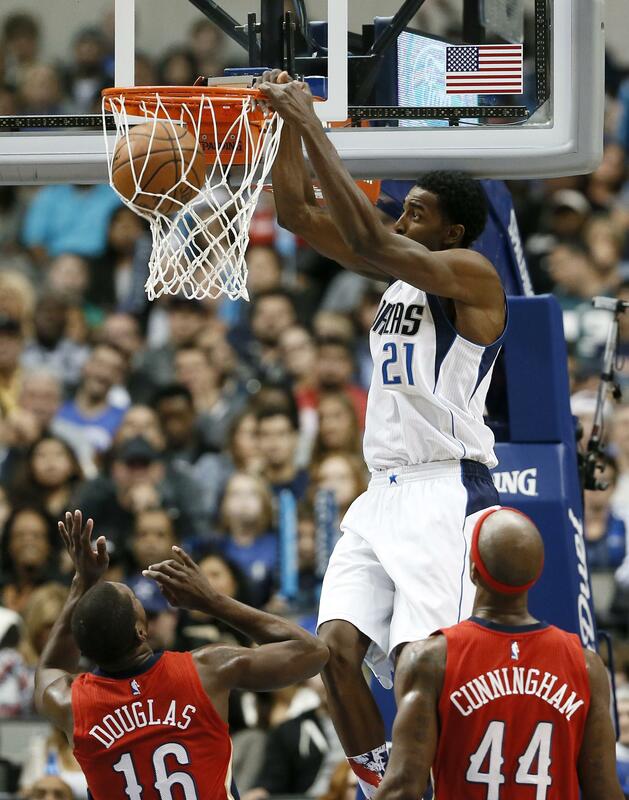 Moved The Mavericks are sending 2012 NBA slam dunk champion Jeremy Evans and cash to Indiana. Two people with knowledge of the deal said Wednesday that the trade was made to clear salary cap space for the Mavericks. One of the people said Dallas is making room to add center Andrew Bogut after agreeing to a trade with Golden State. Hired The Golden State Warriors hired former Cleveland and Los Angeles Lakers coach Mike Brown as an assistant on coach Steve Kerr’s staff. Syracuse University hired longtime ESPN producer and executive John Wildhack as its new athletic director. He is a Buffalo native and 1980 graduate of the university’s S.I. Newhouse School of Public Communications. Signed Saints general manager Mickey Loomis says New Orleans has signed DE Darryl Tapp and waived TE Jack Tabb. The 6-foot-1, 270-pound Tapp is a 10-year veteran who joined the NFL as a Seattle Seahawks second-round draft choice. Reported Officials say the shooting of the former Detroit Lions CB Stanley Wilson II at a multimillion-dollar home in Portland, Oregon, was justified. The Oregonian/OregonLive reports the Multnomah County District Attorney’s Office said a grand jury found homeowner Robert McCall’s use of force was justified. Oregon law allows a person to use deadly physical force against someone trying to burglarize their home. Authorities say Wilson was found naked and wounded in a water fountain in a backyard June 22. The homeowner had shot him in the abdomen. Wilson was arraigned on burglary and trespassing charges and says he’s happy to be alive. Withdrew Colombia’s Camilo Villegas has withdrawn from the Olympics, not wanting to miss tournaments as he tries to keep his PGA Tour card. Villegas also said his decision involved concerns over the Zika virus because he and his wife are trying to start a family. American golfer Charles Howell III has removed his name from the alternate list at the British Open because of a medical procedure that will sideline him for about a month. With two more players withdrawing Wednesday, Howell would have been next in line for Royal Troon next week. Apologized Former Boston Bruins star Ray Bourque has apologized to his family, friends and fans for driving drunk last month. Bourque apologized in a statement after admitting in Lawrence District Court that prosecutors have enough evidence to convict him of driving under the influence when he rear-ended a minivan in Andover on June 24. Bourque’s “admission to sufficient facts” plea will resolve the case without a guilty finding if he successfully completes a year of probation. Published: July 6, 2016, 6:39 p.m.